The luxury midsize SUV category has a long list of great choices for drivers in Marlboro, Englishtown, and Freehold. Comparing the Jaguar F-PACE vs. Range Rover Velar is one way to go about things. The Ray Catena Jaguar Marlboro sales team has created this comparison to take a closer look at these two SUVs and what they have to offer. From performance to interior amenities to safety features, we’ve got you covered. Contact us today to schedule a test drive! The powerful Jaguar F-PACE base engine is a 4-cylinder which makes 247 horsepower. The two separate pairs of cylinders help to provide incredible engine response, and the car accelerates quickly. There’s also a 2.0-liter 4-cylinder turbocharged gas engine, which delivers 296 horsepower, and a powerful 3.0-liter V6, which makes 380 horsepower. Both the Jaguar F-PACE and the Range Rover Velar can also save you money at the pump, with their turbodiesel engines which are highly fuel efficient. While the top-end Range Rover Velar engine is a V6, which also makes 380 horsepower, this model does not feature the powerful engine you’ll find on the F-PACE SVR trim. With the SVR engine, enjoy a pavement-shaking 550 horsepower. When it comes to the Jaguar F-PACE vs. 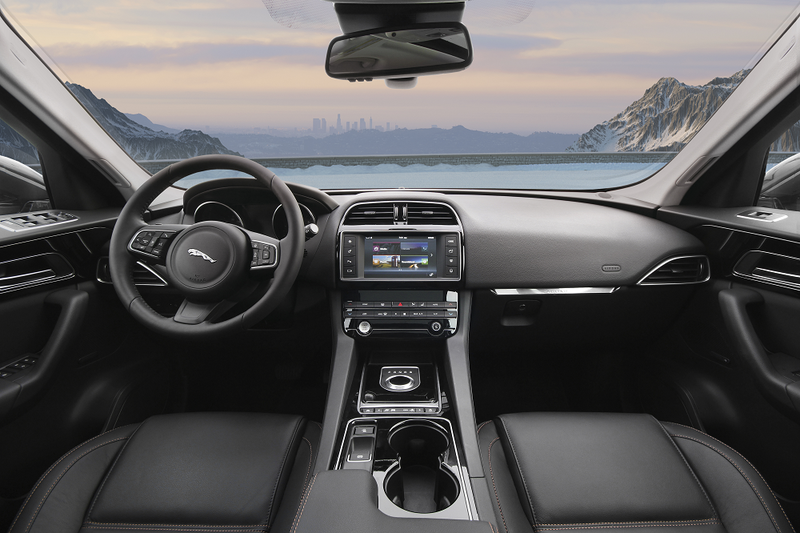 Range Rover Velar, the Jaguar F-PACE comes with the Touch Pro™ in-car infotainment system standard. This intuitive and responsive system comes with a 10-inch touchscreen with tap, swipe, and pinch-to-zoom capabilities, along with a customizable home screen. The Range Rover Velar carries a dual touchscreen system, so you can interact with multiple features at one time. Both vehicles are driver-friendly. The comfortable leather seats not only look great but feel great, too. Whether you’re heading around the corner or across the country, these seats are sure to make any drive feel more comfortable, whether you’re piloting the F-PACE or Range Rover Velar. Need space for all your important items? Behind the rear seats, the F-PACE and Velar both carry around 34 cu. ft. of cargo space, more than enough room for hiking gear, groceries, and luggage. Want to connect a smartphone to the touchscreen? Do just that, and have access to text messages, music, and more, in the F-PACE and Velar. A standard rearview protects you on every drive, helping you see what’s happening behind the vehicle when backing up. If you want to see what’s happening around the F-PACE or Velar when pulling into a parking spot or checking the side view, use the 360-degree camera system to your advantage. With cameras strategically placed around the vehicle, you’ll know exactly where every object is before making that next move. The specially designed headrest in the F-PACE helps to protect you during a rear-end collision. The whiplash reduction technology moves the headrests forward to prevent spine and neck injuries. You won’t find this safety feature inside the Range Rover Velar. When deciding between the Jaguar F-PACE vs. Range Rover Velar, both vehicles feature luxury amenities and offer powerful performance. 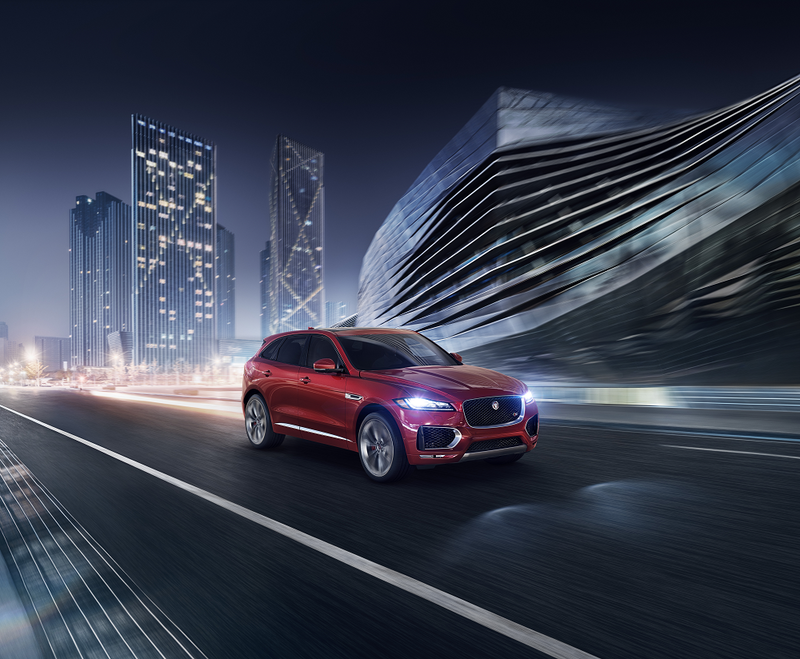 With its top-end engine performance, interior features, and safety technology, the Jaguar F-PACE stands out on Marlboro, Englishtown, and Freehold roadways. 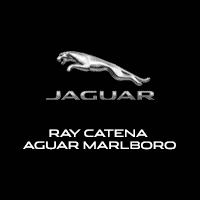 Visit Ray Catena Jaguar Marlboro today to take a test drive and experience this car for yourself. We look forward to helping you get behind the wheel.